A new weekly newspaper has been launched to bring the latest lifestyle news to Norwich residents. Norwich Extra published is first edition today with publishers Archant saying the free title is aimed at “active and affluent family households wanting extra from their Norwich weekend”. It replaces Archant’s Norwich Advertiser title which had its final edition last week. Billed as “the paper that adds value”, Extra’s editorial content includes what to do in Norwich with sections on eating out and entertainment as well as shopping and gardening. Out every Thursday, It will offer sports news dedicated to the week’s developments at local club Norwich City FC and a business section that aims to profile a different local business. Archant already provides news coverage of Norwich with flagship title the Eastern Daily Press and the Norwich Evening News. Last week the group announced it would be closing down London-wide news website London24.com. David Powles has been appointed editor alongside his role as editor of the Norwich Evening News. Launch advertisers include regional-based businesses Norwich Airport, Better Furniture and John Doe. 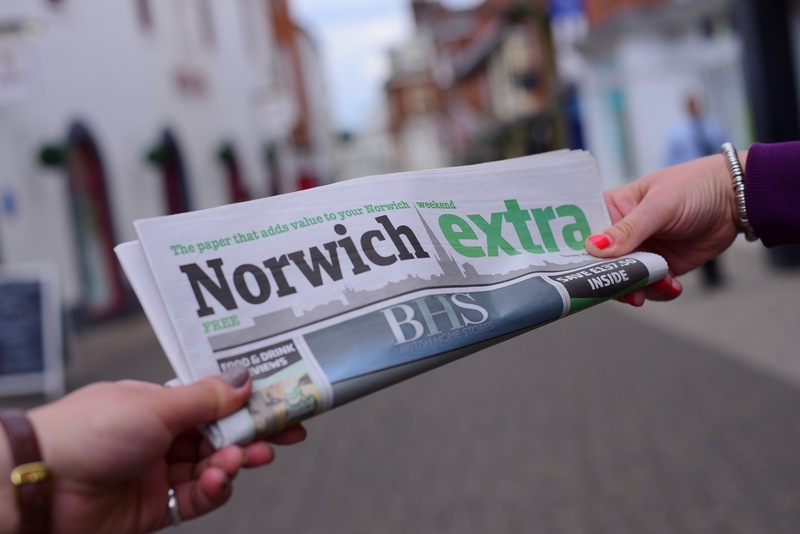 Archant’s chief commercial officer, Craig Nayman, said: “For local businesses wanting to target consumers in Norwich city, the Norwich Extra is a fantastic paper to drive awareness of their services in an environment that’s in-tune with the people of Norwich. The paper will be distributed to profiled households across Norwich as well as select venues across the city including coffee shops and health and fitness centres as well as into the hands of readers.